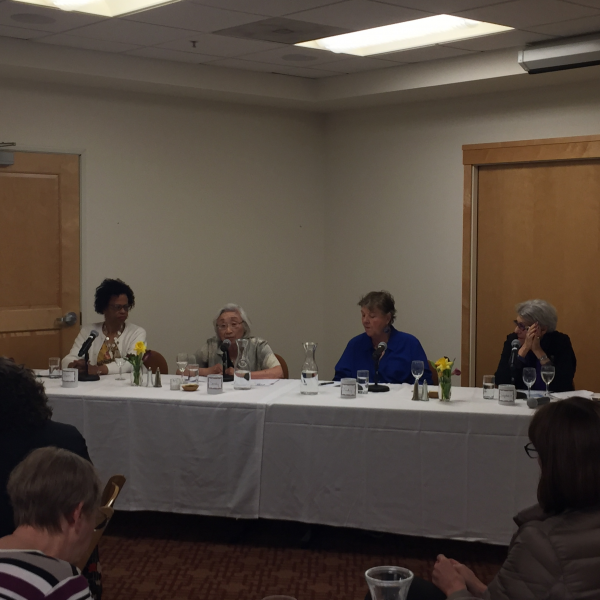 THE TAKEAWAY: This forum was a powerful learning experience because the teachers were four women who spoke from personal experience with great clarity, honesty and gratitude. They were so generous in sharing their very personal questions, challenges and thoughts. Sandy: Inspired us to make our voices heard, vote and be an activist. Stephanie: Told us that there is always time to make new friends. Although at her age (80s), you cannot make long term friends anymore. She inspired us with her dreams and sense of humor. Sherri: Taught us that we actually know about aging when we consider that we are standing on the shoulders of our ancestors. It is also so important to create a circle of support and ask for help. Judy: Warmed our hearts when she actually described what being at home with growing older meant for her -adjusting emotionally to being an older person and adjusting to a new life at home with, in her case, chronic pain of arthritis. “I walked away with much optimism and very proud to be part of the older women’s club” (Susi Stadler, 60). 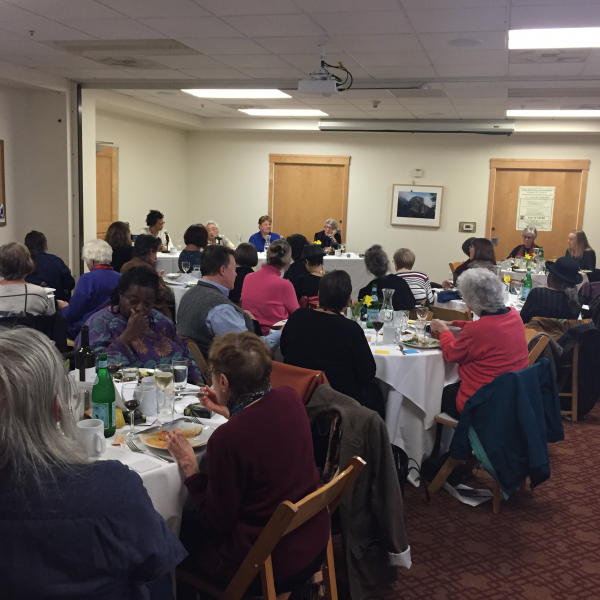 Thank you to panelists Sherri Hayes Sawyer 63, Judy Jacobs 70, Sandy Ouye Mori 75, Stephanie DiGiorgio 83 and to our moderator Beth MacLeod, 60+.